ITW Playworx Music, the music talent management arm of Entertainment, Media & Communication specialists ITW Playworx, collaborated with Indie Music Label in association with Sony Music India and announced the multi artist collaboration new single ‘Aye Zindagi’. The single produced under the aegis of ITW Playworx Music, will have music lovers regaled with the soulful single ‘Aye Zindagi’. 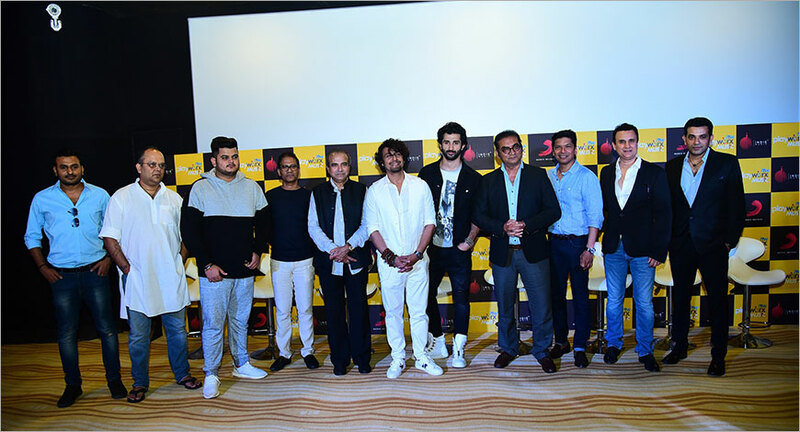 The song was launched today at The View, Andheri in presence of Suresh Wadkar, Abhijeet Bhattacharya, Shaan, Sonu Nigam (Director, ITW Playworx Music), Vishal Mishra (Music Composer), Sidhant Gupta (Lead in the video of the song), Rashmi Virag (Lyricist), Gaurav Kumar Bajaj (Producer) and Geet (Director). Also present were Sidharth Ghosh (CEO, ITW Playworx), Neeraj (Bunty) Bahl (CEO, ITW Blitz & Playworx Music), Naushad Khan (Managing Director, Indie Music Label) and Jay Mehta (Director, Sony Music India). Composed by talented musician Vishal Mishra, “Aye Zindagi” is one of a kind multi-artist collaboration and truly unique as for the very first time the audience can savor the same song in 6 incredible voices of, Asha Bhosle, Suresh Wadkar, Alka Yagnik, Abhijeet Bhattacharya, Shaan and Sonu Nigam.